Routledge, Taylor & Francis, publisher of Icon’s peer-reviewed Journal of the Institute of Conservation, have partnered with 3D content platform Sketchfab to develop an exciting new feature for articles published online: 3D models can now be published in the main text of an article. Garrard Cole, Emilia Kingham and Tony Waldron have have published an article in this February's 42.1 issue of the Journal, titled ‘Printing pathology: a case study in presenting pathological human skeletal remains for education and display’, which is the first journal article in conservation to feature 3D models that are embedded in the online text. The article features 3D models of pathological conditions observed in archaeological and historical human skeletal remains. (All work was made in accordance with the UK's Human Tissues Act 2004). Publishing 3D models of the objects you’re working on allows you to illustrate your research or treatment outcomes in an engaging format, promotes better understanding of results, and contributes to preventive conservation by allowing a digital, non-invasive means of representing and interacting with collection objects. Authors using this new feature will also benefit from increased discoverability of their research, with models being openly available to view on the Sketchfab website. See a live example of a 3D model here on the Sketchfab site, which is also embedded within the full article text on Taylor & Francis Online. Researchers working at the School of Classics at the University of St Andrews, in collaboration with the Museum of St Andrews, have prepared a brief and accessible guide for creating 3D models of heritage artefacts using basic equipment (a camera, turntable, tripod, lights, and a neutral backdrop). Using these resources, the project team have made the vast array of Cypriot archaeological artefacts contained in St Andrews’ Bridges Collection accessible to as wide an audience as possible, via 3D modelling. Visit the project site to find out about the collection. 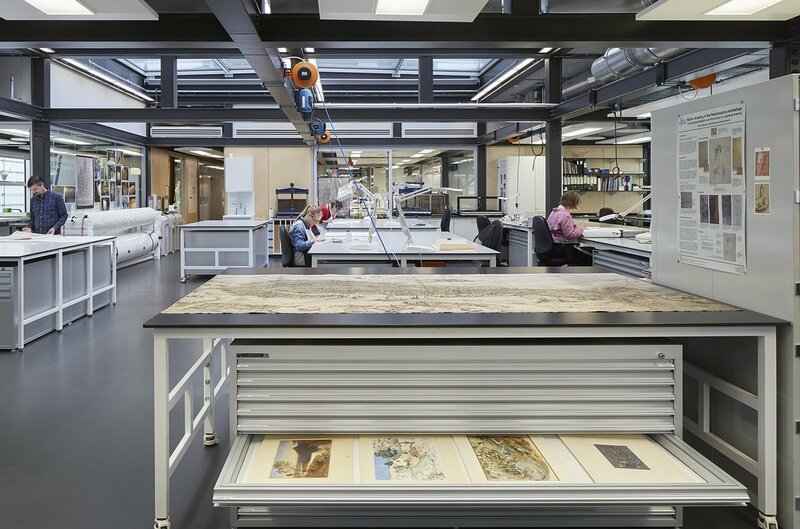 Here you can read more about what they have been doing with the material, see how it’s being used, and learn what former St Andrews students have been doing in terms of preservation and 3D modelling. The option to feature 3D models within articles is currently available in Journal of the Institute of Conservation. Visit the journal’s Instructions for Authors for more details about how to submit a model along with your manuscript. If you have already published an article in the journal on a project that involved 3D modelling, you can add 3D content retrospectively to the HTML version of your article. Contact Journal of the Institute of Conservation Editor-in-Chief, Jonathan Kemp (journal@icon.org.uk), or the journal’s Managing Editor at Routledge, George Cooper (george.cooper@tandf.co.uk), if you’d like to find out more about options to publish 3D models in Journal of the Institute of Conservation.